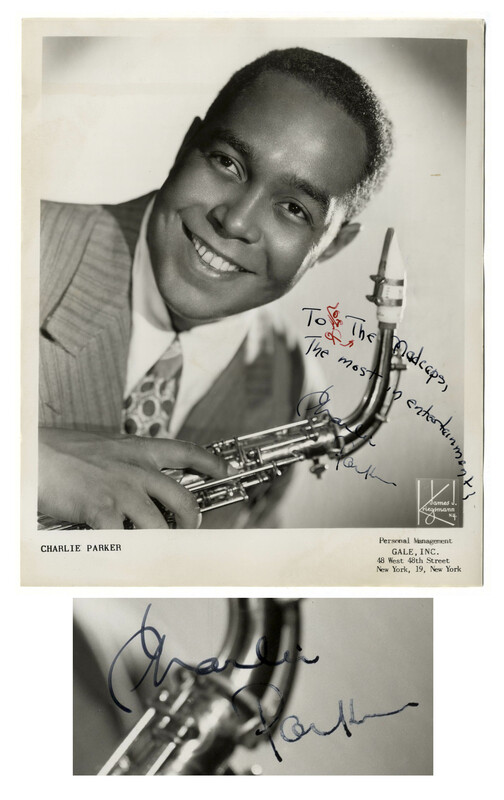 A very rare signature by jazz legend Charlie Parker, who here signs an 8" x 10" photo, writing, "To The Madcaps, The most in entertainment! 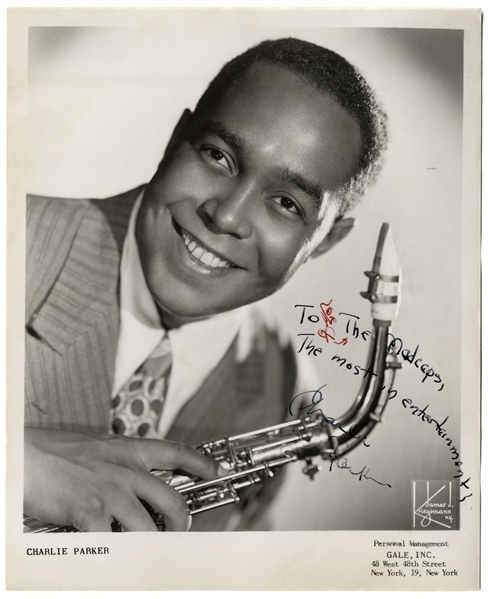 Charlie Parker". Addendum in red ink reads "Joe of", referring to Madcaps member Joe DiFulvio; the Madcaps were a harmonica duet comprised of DiFulvio and Carl Ford, who performed with big acts of their day, including Frank Sinatra, Bob Hope and likely Charlie Parker. Glossy publicity photo has some light creasing, otherwise near fine. 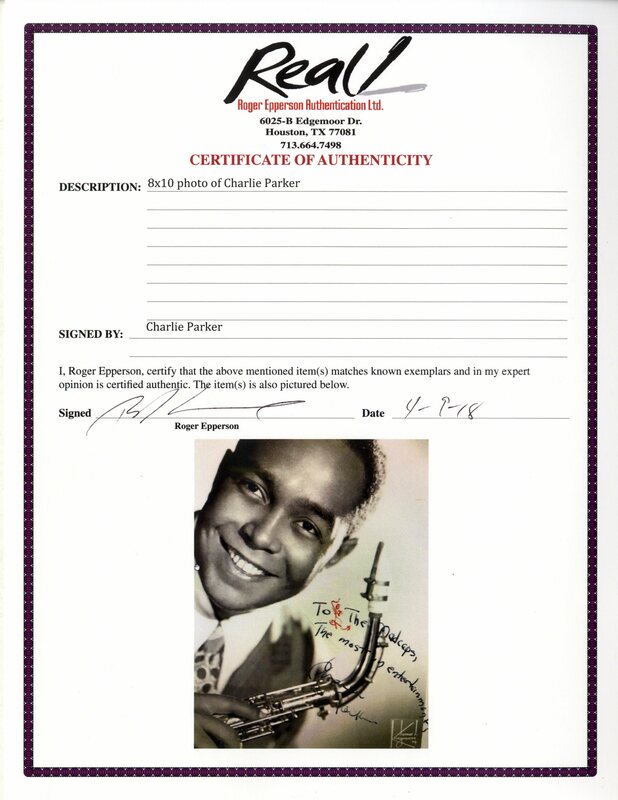 With Roger Epperson COA.